Integration of the population having developmental disabilities into mainstream society through the adequate resources and policy support. We implement therapeutic, academic and capacity building based intervention having sound measurement and evaluation tools. Every programme follows a chain starts form assessment to impact evaluation carefully designed and implemented by RCI registered, trained special educators and psychologists. Dentsu aegis network volunteers celebrated Van Gogh day with our children. 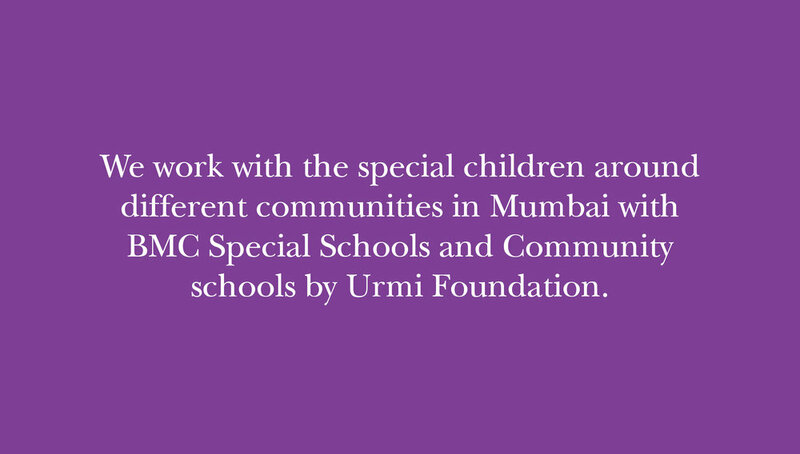 Urmi children planted 100 trees across its schools and made sure they sustain by watering them daily. We introduced eco friendly upcycled benches to our school.